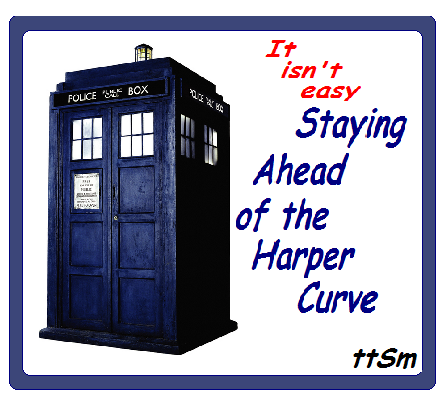 The Twain Shall Meet: Staying Ahead of the Harper Curve ~ Working 111/7 to Unseat the Cheat! Staying Ahead of the Harper Curve ~ Working 111/7 to Unseat the Cheat! We are NOT all ANONYMOUS. Add Your Own Voice! If each and every one of the now over 8,000 members on my favorite on-line Harper Watch Group ~ Canadians Rallying To Unseat Stephen Harper affectionately known as C.R.U.S.H. tunes in for even 20 minutes a week, as a Group we will spend a conservative 111 hours a day fighting the miserable little man and the Shadow he casts. It may not quite be time travel, but it is running 111/7! Tune in ~ Turn on and help Canadians stay ahead of the Harper Curve! Call-centre Employees in Thunder Bay! The Elections Canada investigation prompted by misleading calls to voters during the final days of last May's election is spreading, CBC News has learned. The growing probe will involve interviews with some employees of a call centre based in Thunder Bay, Ont., operated by Responsive Marketing Group. The company was hired by the Conservatives to reach out to voters. As a reminder about the rules and how they are not on Harper's radar. Check out this one last link. 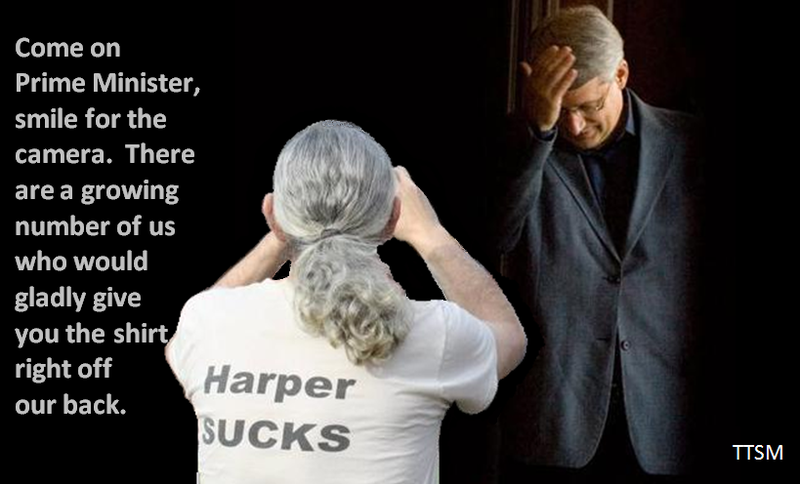 It clearly shows Harper Campaigning Illegally on Election day 2011! Kim, Your Blog is amazing from start to finish. I read it everyday. I am not the brave type but I wonder how 8,000 people at CRUSH, who claim to want to "Unseat the Cheat" (good line by the way) can fail to log in here and comment. This latest blog is an advertisement for their site. They may not be as brave as you think that they are. It is not easy to put yourself out there though. I am hoping to develop more courage in my life, and I have joined Crush overnight. This is a first step. Not quite there yet though. I am still too afraid to sign my name here. I will message you on Facebook and get some of that courage. Forgive me.